The self-proving affidavit is used to acknowledge that a Will or Codicil was created under the testator’s own free will. The affidavit also includes language that verifies, under oath, the witnesses viewed the testator signing the Will or Codicil in their presence. After creation, the self-proving affidavit should be attached and made part of the document. Main Purpose – To provide an extra layer of security, after the testator’s death, to ensure that if the Last Will is questioned by a family member or third (3rd) party the affidavit provides proof that it was signed in accordance with State law. *Not permitted in this state. 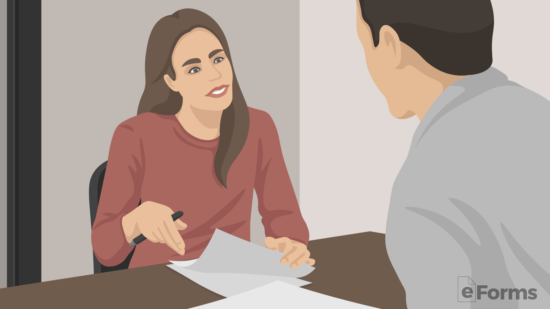 The affidavit is attached to a Will or Codicil to make known that both witnesses signing were present at the time the testator executed the document and in front of a notary public. The testator will need to gather two (2) disinterested witnesses meaning that they are individuals that are not named in the Will. The witnesses must be over the age of eighteen (18) years. The testator will need to make arrangements to make a time with a notary public with the witnesses. Any licensed notary (perform a lookup on the American Assoc. of Notaries). The testator will be required to bring the Will or Codicil, the Self-Proving Affidavit, and the two (2) disinterested witnesses to the notary. 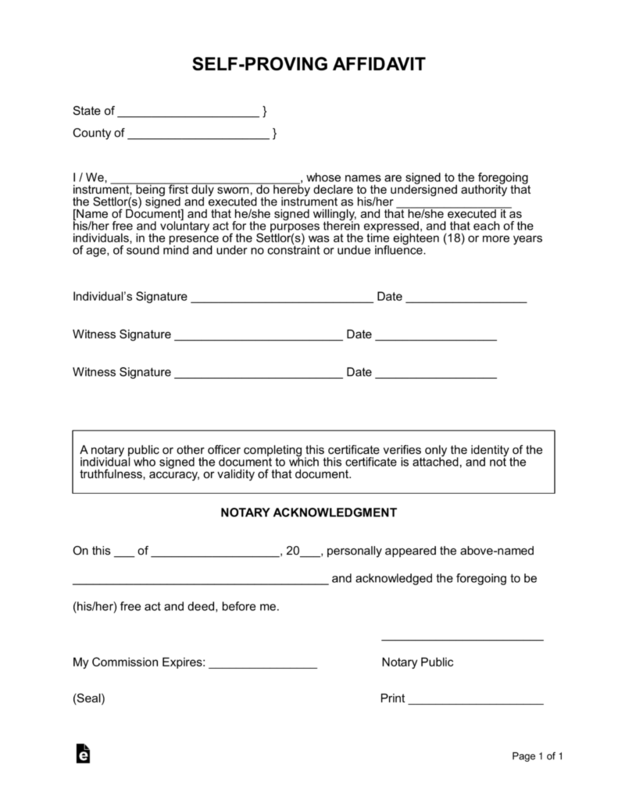 Once notarized, the affidavit will be attached to the Will or Codicil and is made part of the document. In order to implement this document, you will need the paperwork it refers to, the Signature Party implementing that paperwork, the Witnesses who are providing the testimony in the affidavit, and Notary Public. 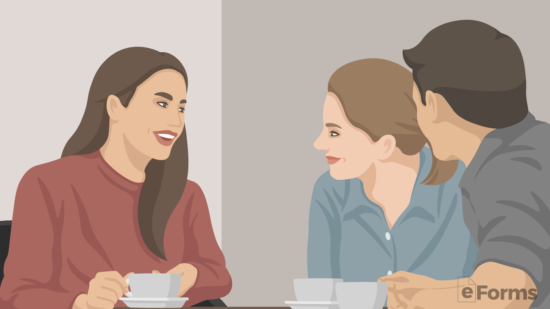 Once all these parties and paperwork is accounted for, the form available on this page may be utilized (open or download by clicking the buttons on the right). The first two blank lines in the upper left-hand corner will need two pieces of information. Enter the State and County where this form is being signed on the blank lines labeled “State of” and “County of” (respectively). Since this Affidavit will refer to a specific document implemented by the Signature Party executing it, you will need to enter the Title of the document (Living Will or Trust) being supported by this Affidavit. Enter the exact Title of the document this Affidavit will be attached to on the second blank line in this paragraph. Directly below this paragraph will be three Signature Lines with a blank line for the Signature Date. The first Signature Line must be signed by the individual who has executed the paperwork named in the above paragraph. He or she must sign the “Individual’s Signature” line then provide the Date of Signature on the second blank line. The next two Signature Lines are for the use of the two Witnesses named in the paragraph above. 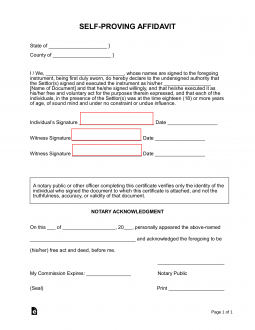 Each Witness must sign a unique “Witness Signature” line then enter the Signature Date on the corresponding “Date” line. The Notary Public must supply several pieces of information before his or her credentials and notarization seal. 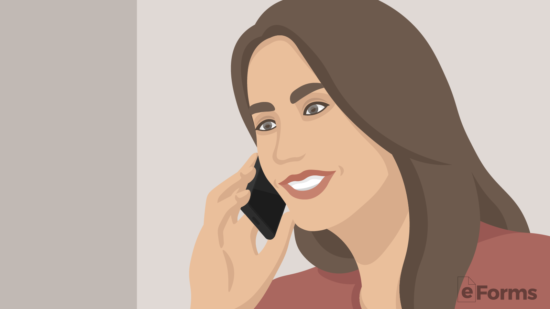 He or she will provide the Date, and the Identity of the individuals appearing that day, then finalize the notarization process by providing some standard commission information and stamping this document. Once this is done you may attach this form to the document it should be applied to.